Cancer occurs when cells whose growth is normally controlled by the body, rapidly divide and multiply, resulting in a lump, mass or tumor. Cancers may also involve the blood and bone marrow. A tumor may be benign (non-cancerous) or malignant (cancerous). 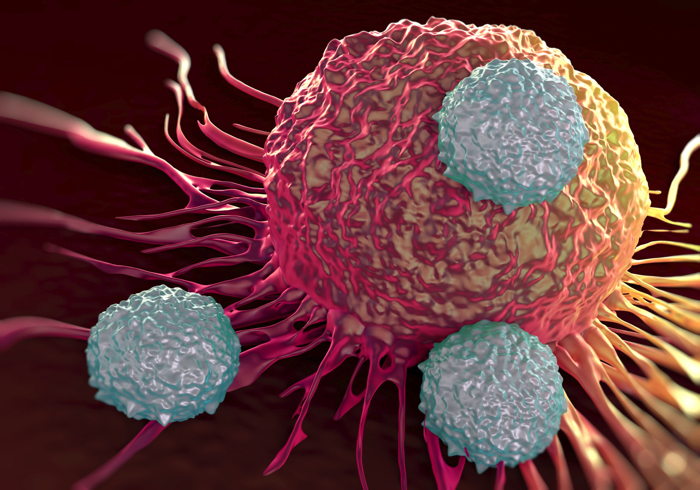 Cells from cancerous tumors can metastasize, or spread throughout the body, and travel in the circulatory or lymphatic systems until they are lodged in a small capillary network in another area of the body. Metastasis commonly occurs in the bones, lungs, liver and central nervous system. Visit the National Cancer Institute for more information about cancer in general. To find information about specific types of cancer click here. Following a diagnosis of cancer, the first and most important step in evaluating and discussing your treatment options with your doctor is to determine the correct stage of your cancer – how far the cancer has spread. (Some cancers, such as leukemia, may not be staged). Each stage of cancer, from 0-4, may be treated differently. Generally, the lower the stage, the better the treatment prognosis (outcome). Prognosis is the probable course and/or outcome of the cancer. Your doctor will consider many factors to determine your prognosis. Here are three additional Web sites we highly recommend to assist you in learning more about cancer. The Web site of the National Cancer Institute offers comprehensive information about cancer. The National Comprehensive Cancer Network is a not-for-profit alliance of 21 of the world’s leading cancer centers, dedicated to improving the quality and effectiveness of care provided to patients with cancer. Web site of Scott Hamilton, Olympic figure skater/cancer survivor. Contains extensive cancer-related information for parents and families. Need more advice, schedule an appointment? Call us at (907) 746-7771 or click here for location and business hours.